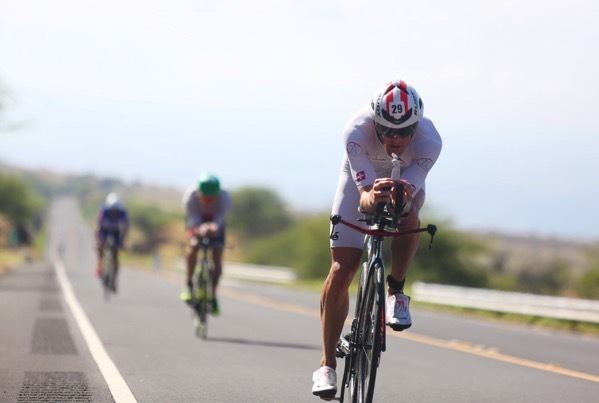 This post has a closer look at how qualifying for Kona would have turned out if the new Kona Pro Qualifying System had been in place. Of course athletes would have adapted to the new system, probably choosing different races, but going through a few examples gives a good indication of how the new system will work and how it might change the Kona field and racing during the season. As the female remainder is larger than the male, the remaining slot is assigned to the females. We end up two slots for both the males and the females. As for all of the Regionals in 2017, the females would have only been racing for their two base slots while the males would have four slots, two base slots plus both the floating slots. As you can see, there are a number of athletes who raced in Frankfurt as they still needed the points to qualify under the existing KPR system. If the new system had been in place, they might have decided not to race but instead to focus on their Kona prep. With the KPR declines only happened after the qualifying periods (end of July and end of August). With the slot-based system the decision whether to accept or decline a slot has to be made the day after the race. For example, IM Chattanooga winner Marino Vanhoenacker would have needed to decide in September 2016 instead of August 2017. Meredith Kessler won IM Arizona in November 2016, she declined her slot in July 2017 as she got pregnant in February. (Baby boy “MAK” has been born by now.) Another example is Will Clarke who suffered a shoulder injury in August. Both were not able to race in Kona and declined their slots who then rolled down to the next athletes. Under the new system, once a slot has been accepted (which Meredith would have in November and Will in April), the slots wouldn’t have rolled down when they were forced to decline. When Daniela Sammler planned her season, she focused on IM Hamburg in August, even if that meant she wouldn’t be able to race Kona (to have a chance to qualify she would have needed more points before Hamburg). Under the new system, her win in Hamburg meant that she could have raced Kona instead of ending her season at IM Barcelona. Especially the women had to do a lot of racing to secure the points required for a Kona slot. Laura Siddall needed to race IM Australia (which she won) even after her third place at IM Malaysia and second place at IM New Zealand to get the required points. Rachel Joyce (coming back from her pregnancy) won IM Boulder (which would have secured her slot under the new system) but then had to also race IM Canada and IM Mont Tremblant, likely ruining her chances to have a good race in Kona. Another example is Eva Wutti: Her win at IM Austria (also coming back from a pregnancy break) would have secured a slot, but with the KPR system even a second place IM Hamburg wasn’t enough for a KPR Kona slot. I’m also working on another post summarizing the changes that the new system is likely to bring, likely to be published over the Christmas days.